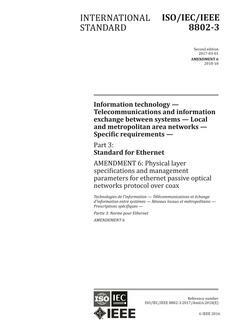 This standard defines YANG data models for IEEE Std 802.3 Ethernet. 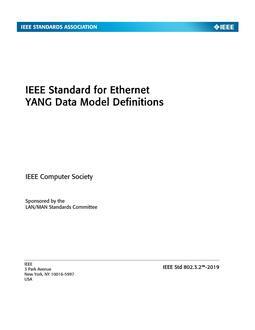 The purpose of the standard is to define YANG models for IEEE Std 802.3 and publish these models in a machine-readable format. New IEEE Standard - Active - Draft. 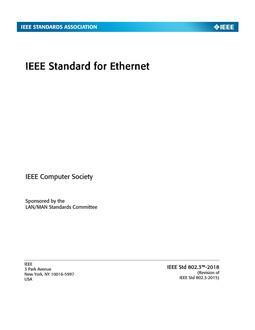 This standard defines YANG modules for various Ethernet devices specified in IEEE Std 802.3. This includes half-duplex and full-duplex data terminal equipment (DTE) using either Carrier Sense Multiple Access / Collision Detection (CSMA/CD) or Multipoint Control Protocol (MPCP), and Power Sourcing Equipment (PSE).